The term otitis media refers to inflammation of the middle ear. 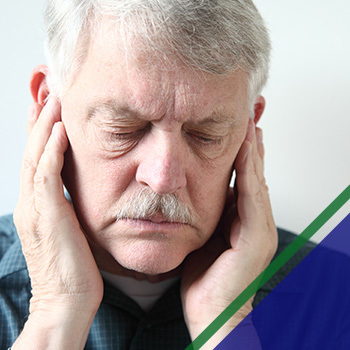 Inflammation may occur as the result of a middle ear infection, causing irritation and pain. It can occur in one or both ears. Otitis media is the most common diagnosis made by pediatricians. It is also the most common cause of hearing the loss in children. Although otitis media is common in young children, it can affect adults as well. Yes. Otitis media is a serious condition because of the severe earache it causes and the hearing loss it can create. Additionally, like any infection, if it is not treated quickly, it may spread to nearby structures. Left untreated, it can cause the infection to spread and other side-effects like vertigo and loss of balance. Hearing loss in children can impair the ability to learn and can delay speech development. However, if it is identified and treated promptly and effectively, hearing can almost always be restored to normal and the seriousness of the situation is dramatically reduced. To understand what otitis media is, let’s discuss how the ear works to give you a better idea of what is happening and why it is a serious condition. The outer, meaty part of the ear collects sounds. The middle ear is a pea-sized cavity that is air-filled separated from the outer ear by the paper-thin eardrum. Within the eardrum, there are three tiny bones — the malleus, incus, and stapes. When sound waves strike the eardrum, it vibrates these bones, which transmits the sound to the inner ear. The inner ear converts these vibrations into electrical signals and sends these signals to the brain. Fun fact: these bones, the vibrations, and inner-ear pressure also help us to determine our body’s location and provides stability and balance. A healthy middle ear contains air at the same atmospheric pressure as outside of the ear, allowing the bones to freely vibrate. Air enters the middle ear through the narrow eustachian tube that connects the back of the nose to the ear. When you yawn and hear a pop, your eustachian tube has just sent a tiny air bubble to your middle ear to equalize the air pressure, which is why you feel better when you yawn on an airplane. There are a variety of things that can cause otitis media. A blockage of the eustachian tube from a cold, allergies, or upper respiratory infection can cause an accumulation of fluid behind the eardrum. This pooling fluid is a great medium for microbial growth. If this fluid becomes infected by bacteria or viruses, the result is an infection called acute otitis media. The build-up of pressurized pus in the middle ear causes pain, inflammation, and redness. Since the eardrum cannot vibrate properly when it is inflamed, hearing and balance problems may occur. Sometimes the pressure and swelling caused by the acute infection eardrum ruptures, allowing pus to drain out of the ear. But, more commonly, the pus and mucus remain trapped in the middle ear due to the swollen and inflamed eustachian tube. This condition is called middle ear effusion or serous otitis media. Often times, after the acute infection has passed, the effusion remains and becomes chronic, lasting for weeks, months, or even years. This condition makes one subject to frequent recurrences of the acute infection and may cause difficulty hearing. What will happen at the ear doctor’s office? During the exam, your Loveland ENT will use an instrument called an otoscope to visualize the inner ear and assess the ear’s condition. The doctor will be looking for redness in the ear and fluid behind the eardrum. With the gentle use of air pressure, the doctor can also see if the eardrum moves. If the eardrum doesn’t move or is red, an ear infection is probably present. Audiogram – This tests if hearing loss has occurred by presenting tones at various pitches. Tympanogram – This measures the air pressure in the middle ear to see how well the eustachian tube is working and how well the eardrum can move. The doctor may prescribe medication, such as antibiotics, to help rid the ear of infection or help control swelling and reduce mucous or fluid trapped behind the eardrum. It is important that the medication is taken as directed, even when symptoms improve, and follow-up visits are kept. Antibiotics may fight the infection and make the earache go away more rapidly, but the fluid may need weeks or months to resolve completely. Call your doctor if you have any questions, symptoms do not clear, or you notice any adverse effects. Most of the time, otitis media clears up with proper medication and time. In many cases, however, further treatment may be recommended by your physician. Surgical intervention called a myringotomy and ventilation tube (also known as “ear tubes”) may be performed to prevent fluid accumulation and help improve hearing. The ventilation tube remains in place for several months in hopes that by the time it “falls out,” the eustachian tube is functioning normally again. During the time that the tubes are in place, you must keep water out of the ears by using earplugs to prevent fluid accumulation that can cause an infection. Otherwise, the tubes cause minimal trouble, and you will probably notice a remarkable improvement in hearing and a decrease in the frequency of ear infections. Allergies may also require treatment. Otitis media is generally not serious if it is promptly and properly treated. With the help of your physician, your child can feel and hear better very soon. Be sure to follow the treatment plan, and see your physician until (s)he tells you that the condition is fully cured. Remember, without proper treatment, damage from an ear infection can cause chronic or permanent hearing loss. 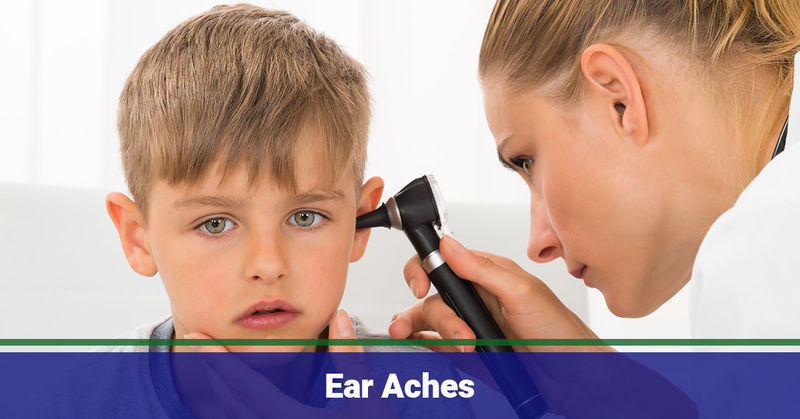 If you or your child are experiencing any of these problems and you need an ear, nose, and throat specialist in Northern Colorado, contact us at Alpine ENT today! ©2018 Alpine Ear, Nose & Throat, P.C. Do not copy. All rights reserved.